If you are looking for a single pole circuit breaker, that is, 1-Pole, whether for domestic, tertiary or industrial use this is your section. Here we put at your disposal a wide variety of single pole circuit breakers of different intensities from 3A to 25A, with characteristic curve: "C" and 6KA cutting power, so that you can find just the switch you need. 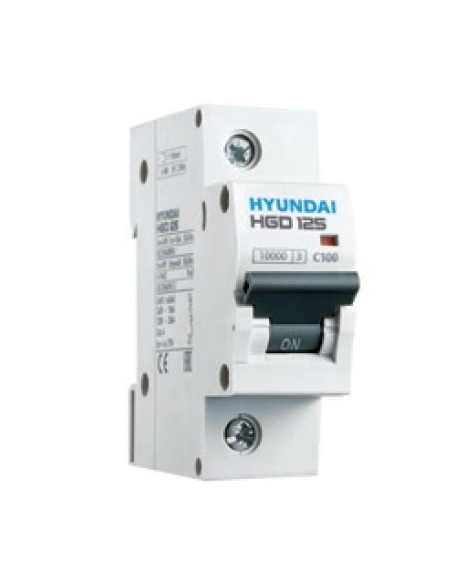 Single pole circuit breaker MCB bread Open Electric, for intensities between 1 and 63A. Curve "C". Single pole 1A circuit breaker, C curve Single pole 1A circuit breaker, for protection against short circuits and overloads in single phase installations. With an assigned cut-off power of 6000A. Can be used in installations and mounting up to 400Vac. Single pole 2A circuit breaker, C curve Single pole 2A circuit breaker, for protection against short circuits and overloads in single phase installations. With an assigned cut-off power of 6000A. Can be used in installations and mounting up to 400Vac. Magnetotérmico 1 polo 4A curva CMagnetotérmico 1 polo 4A para protección contra cortocircuitos y sobrecargas en instalaciones monofásicas. Con un poder de corte asignado de 6000A. Protege ambos conductores. Puede ser usado en instalaciones y montaje hasta 400Vac.